It's not the first time the U.N. has gotten that advice. It was first suggested by a panel of outside experts the agency appointed back in 2011 to investigate the Haitian epidemic. But so far the U.N. has rejected the panel's recommendation on preventive antibiotics. It's not clear whether that will change. The U.N.'s chief medical officer, Dr. Jillian Farmer, said in an interview Friday that she welcomes the new study. But she noted it does not address "the biggest barrier to implementing the antibiotic recommendation" — a concern that what she calls "mass administration" of antibiotics would give rise to antibiotic-resistant strains of cholera. "It may be we will be able to do this [administer pre-deployment antibiotics to U.N. peacekeepers]," Farmer said. "I don't have a closed mind." "Based on DNA evidence, this outbreak was probably started by one or very few infected, asymptomatic individuals -- I would guess one,” said Daniele Lantagne, a Tufts University environmental engineer who was one of four independent experts appointed by the U.N. in 2011 to investigate the outbreak. Since none of the 454 Nepalese peacekeeping troops deployed to Haiti in late 2010 showed any symptoms of cholera, all of them would have had to take a prophylactic dose of antibiotic to prevent any one of them from starting the outbreak. That would have cost around $500 — a tiny price to pay to avoid a devastating epidemic that — absent the investment of billions of dollars in clean water and sanitation — will continue into Haiti's indefinite future. That’s because vaccination can prevent someone from falling ill from cholera, but it doesn’t prevent infection -- so a vaccinated person can still carry the cholera bacterium and pass it on to others. Lantagne says after she became aware of the new Yale study from this reporter, she polled the other three members of the earlier U.N.-appointed expert panel. “We all agree that we stand by our original recommendations and think this paper validates that,” Lantagne said. In response to the 2011 report, U.N. Secretary-General Ban Ki-moon appointed an internal task force to consider this and other recommendations. That task force's work product has never been made public, but in 2014 the U.N. posted a summary of its recommendations on its website. That document, entitled a "fact sheet," said the task force had rejected the idea of preventive antibiotic treatment of peacekeepers. The fact sheet said the panel concluded there was no evidence it would work and raised the fear that “mass treatment of…asymptomatic carriers” could lead to the rise of antibiotic-resistant cholera strains that would be hard to treat. Implementing preventive antibiotics “without an evidence base is not ethical and should not be done,” the 2014 fact sheet said. Outside researchers and human rights advocates believe the U.N. is wrong-headed about the risk of antibiotic resistance in this instance. The researchers and activists involved in the Haitian situation also complain about the secretive way the U.N. has dealt with recommendations to prevent future spread of cholera by U.N. personnel. The membership of the internal task force has never been disclosed, it met behind closed doors, and its report has never been released. “The task force operated completely in the dark,” said Beatrice Lindstrom, a staff attorney for the Institute for Justice and Democracy in Haiti. The U.N.’s Farmer, whose title is director of medical services, says she was not at the U.N. when the internal task force met, so doesn’t know why its report was never released in full. She said she would look into the possibility of releasing a separate report from an internal “expert group” that considered the use of prophylactic antibiotics. "It would make sense to me to release it,” she said. Asked if the task force would reconvene to consider the new study, Farmer said: "That's not my decision. It was originally convened by the secretary-general. He will have to consider it." The need to prevent future U.N.-caused cholera outbreaks is not limited to countries like Haiti where cholera is absent and the population is totally vulnerable. Even if a country already has cholera, an outbreak can be sparked by a new strain to which its population has no prior immunity, or only poor immunity. Meanwhile, a lawsuit against the U.N., brought by the Institute for Justice and Democracy in Haiti, drags on. The suit seeks to hold the U.N. accountable for introducing cholera to the nation and force it to pay for clean water and sanitation -- the only ways to eradicate the disease there. A year ago a federal district court judge dismissed the lawsuit, which is now before a federal appeals court. 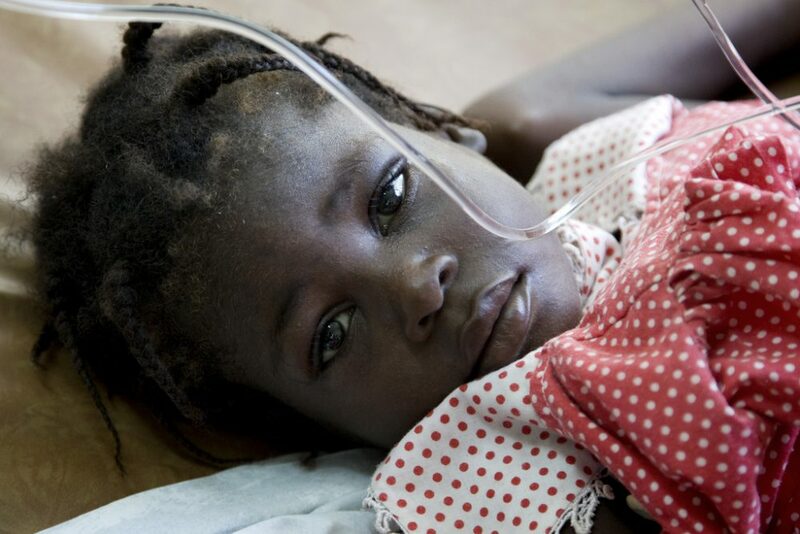 Cholera strikes up to 4.3 million people globally each year and kills as many as 142,000 people.